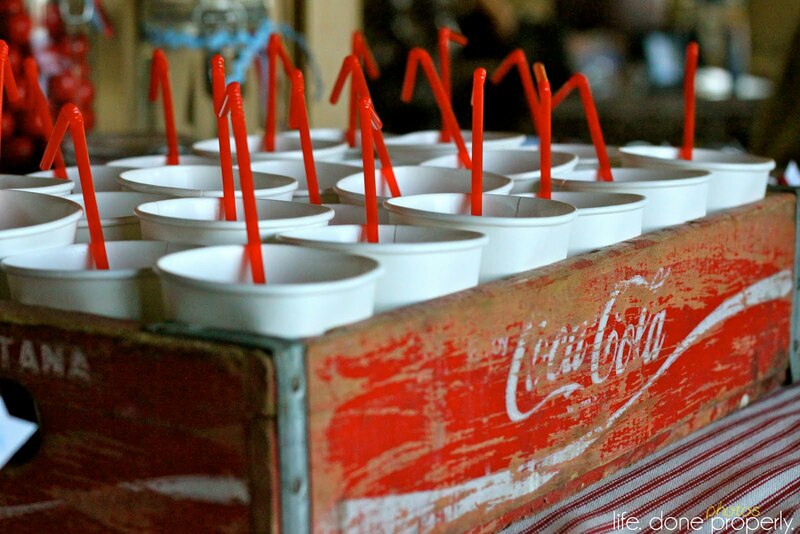 I love the way that Sarah from For The Love took an antique Coke crate and made it an adorable party accessory at a nautical-themed baby shower. Sarah did the styling, and Jessica over at Life, Done Properly took the photo. So adorable, and so resourceful! Is your crate such an antique that it’s in really bad condition? Or is your aesthetic not really conducive to peeling paint and splintery wood? Not to worry — display it somewhere decidedly un-fancy like your garage or backdoor. Use it to hold your rainboots so that you don’t have to put them on the carpet, or place your gardening tools in it so they’re always within reach as you head out to do whatever it is that people with green thumbs do. 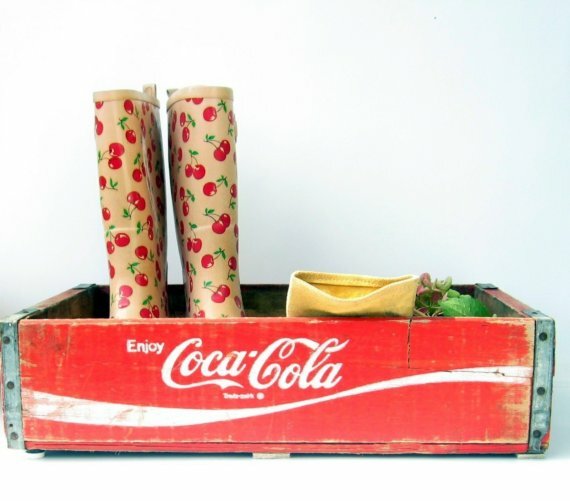 You can even use it as a planter…a little dirt never hurt an old antique soda crate! No more loose art supplies for me! This is the best use in my house — a little spot for crayons, one for chalk, one for broken chalk (oops! ), one for water color markers, you get it… And all out of reach of tiny destructive hands! Any other ideas? Leave a comment! ← Where Did I See That Blanket? This is taking me back…my mom passed down to me all of her Nancy Drew books in a Pepsi crate. So…book storage, especially for a series like that! 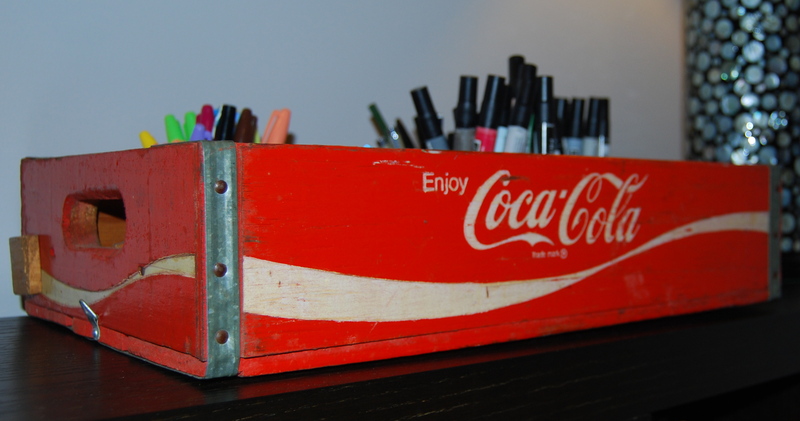 I have seen some images of open soda crates that hold books, especially for children’s rooms, and I love that idea! What a neat memory! Awesome website Jessica! Thanks for the feature! You’re welcome! I love your styling!